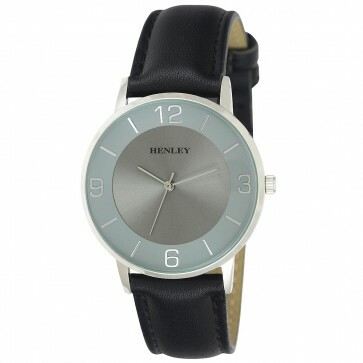 The Henley Mens H02153 is a front loaded case that has a wonderful two level dial. Coupled with the colour co-ordinated index the H02153 gives a real rich, sophisticated look and will be a top seller this year. Available in brown, black and tan. Polished Round Front Loaded Case - 40mm. Two Level Dial with Colour Co-ordinated Index.